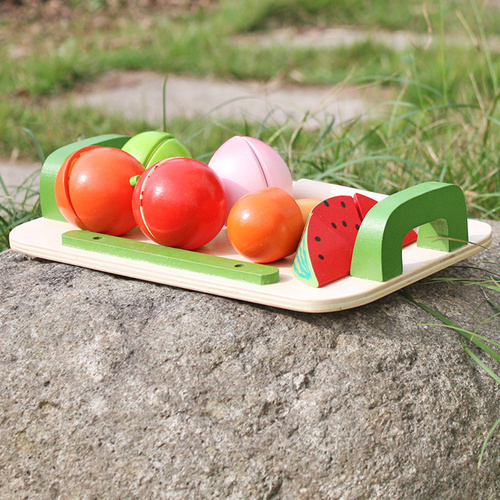 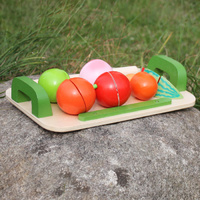 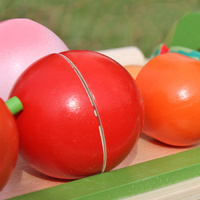 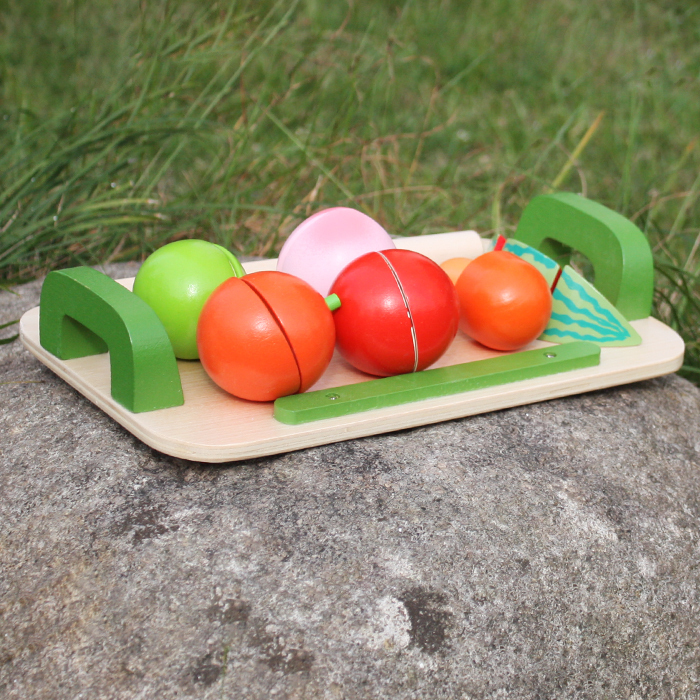 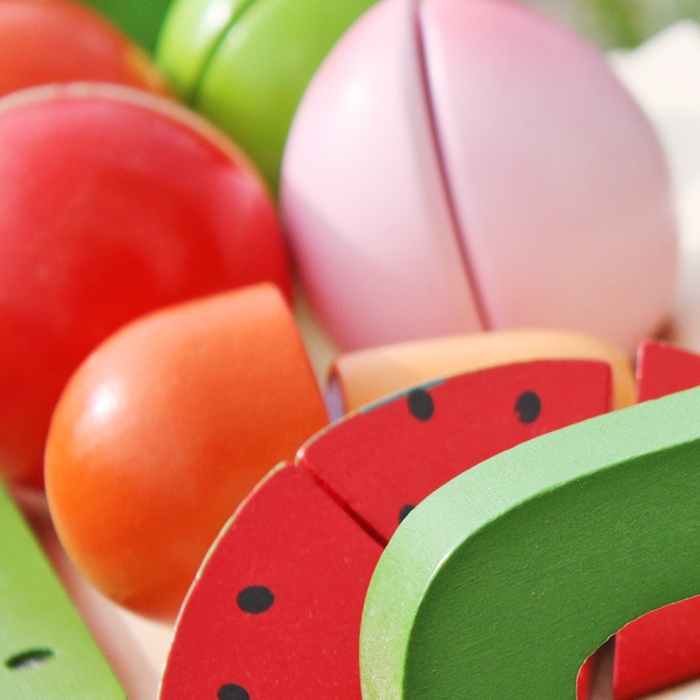 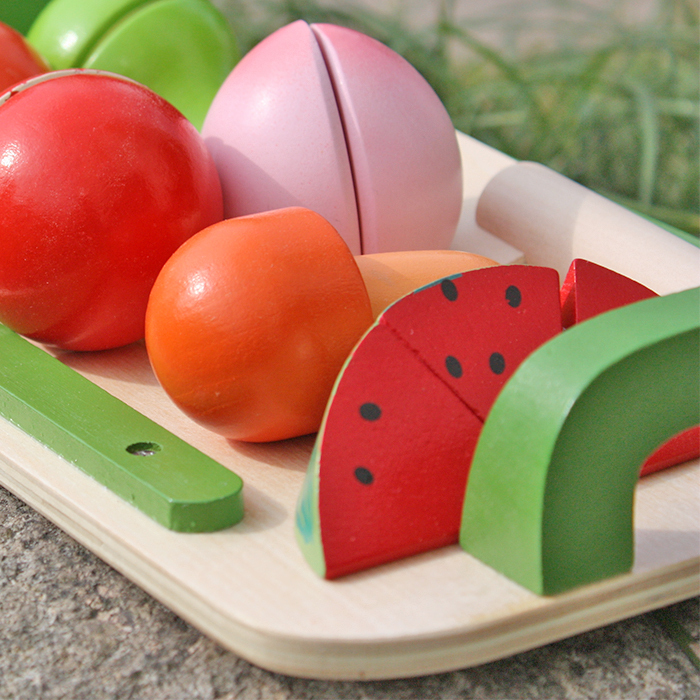 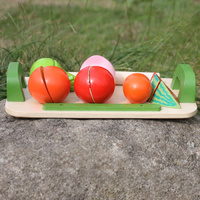 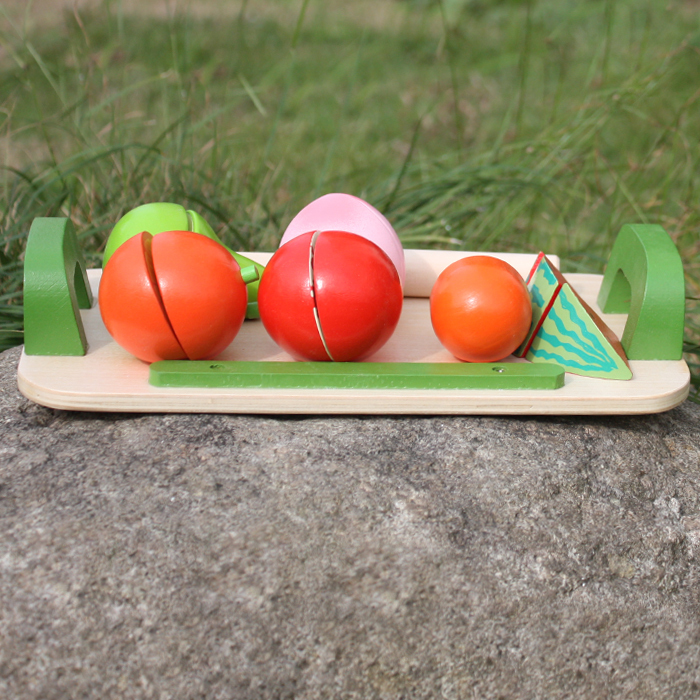 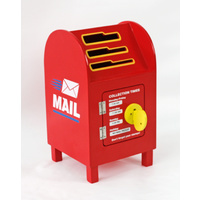 This Cuttable Fruit Set includes 6 Fruits that are held together with a small velco tab. The fruit is able to sliced in half using the includen wooden knife. 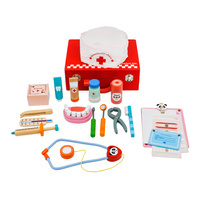 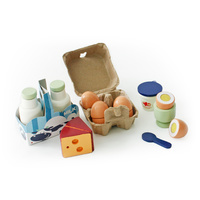 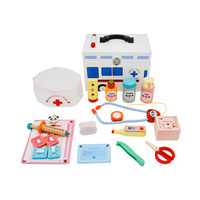 This set is a great way to introduce mathematical concepts such as dividing.